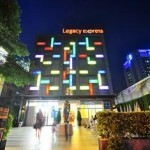 So your looking for a hotel near Nana Plaza in Bangkok huh? Well you've come to the right place because I've listed below 10 hotels that are so close to Nana Plaza you can easily walk to one of the most famous night adult entertainment spots in all of Bangkok. 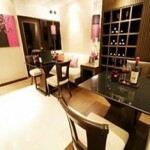 One of the best Streets to stay near Nana Plaza is Soi 8, I've found this really awesome 4 bedroom duplex with the coolest guys in Bangkok,I recommend this place like nothing else, if you're coming to Thailand by yourself and want some cool guys who know the scene then this condo is for rent. 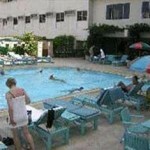 You can rent the room or the whole place, the price is very reasonable and the place is huge! 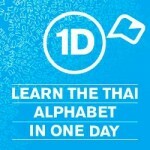 If you're coming to Bangkok this is the place to be! 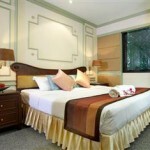 -DI Place is even better value than the Majestic but the beds are a little harder but arn't most at cheap places to stay in Bangkok. 300 meter walking distance to the Nana BTS and even a less walk to the Nana Plaza it's guest friendly and has all the modern conveniences. This place is highly recommended. 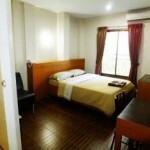 The White Orchid Inn is one of the cheapest places to stay near Nana Plaza but honestly it's a little too cheap for me. Great for people on a budget and those who just need a place to crash that isn't too expensive. There is a bar/pub downstairs that makes a lot of noise so if your not sensitive to that this might be the place for you. The Parkway Inn has some really funky flavours in the bedroom but it's still a great place to stay and very close to the Nana Plaza entertainment area. It is a relatively cheap place to stay but still has some great recommendations especially it being very guest friendly. You even get the newspaper complimentary every day. This 47 hotel room located right near Nana Plaza has only recently become available on Agoda and has yet to receive any reviews but from what I've seen it looks like a great place to stay. I'm sure these prices are not going to last long so if you want to try this place out I'd get in quickly before the prices start to rise. -A little piece of heave right near Nana Plaza the Heaven hotel is much more modern than some of the other hotels around Nana. With a classy looking bar/pub downstairs you may not even need to go into the Nana Plaza entertainment zone. What I like about this place for the price it even has a bath tub! 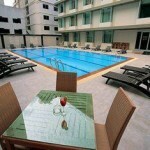 -Well you can't get anymore closer to Nana Plaza than a stay at the Nana Hotel. Right across from the Nana Plaza is the Nana Hotel and yes you can book this place online if your lucky enough to actually get a room. Even though this place is like 100 years old it's still THE place to stay near Nana plaza. 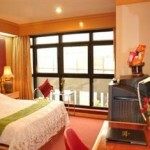 For those who don't like super cheap places to stay you may want to look at the Grand Inn Hotel. Above my budget for a stay near Nana but my friend stays there a lot and says it's great. Large rooms and friendly service and a good location except at night if you want to hail a cab. 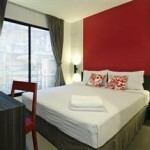 Another more expensive hotel near Nana Plaza but you get what you pay for in a place like Thailand. 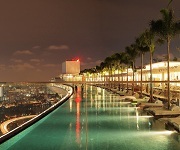 The beds are super comfortable and the rooftop pool is really fun. If your looking for a place that also has a gym to work off all the beer calories you'll be getting at night then this is probably the place for you to stay. 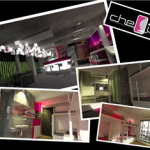 While this place is a bit of a walk to Nana Plaza I still included it because I stayed there and thought it was awesome! It's even easy to get to the toll way too if you just cross the road unlike the nightmare trying to get a taxi sometimes at Nana Plaza it's easy here. Recommend. If you really want to see the action in Nana Plaza then really doesn't matter where you stay as long as it has four walls and a decent bed and is guest friendly then it should be ok. Any of these hotels are great but there are so many more hotels near Nana Plaza I'd have to spend a whole day writing about them. 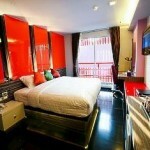 10 hotels near Nana Plaza is enough don't you think. Cheers. Nice site 🙂 Was wondering, you happend to know a quite cheap, guest friendly hotel near Nana with a balcony ??? Been searching a lot, but can’t find any. Let me know if you find one. Sounds good cheap option, thanks for the update!